1.Applicable for locking various cupboards doors and drawers in home.2. Prevent children from opening and causing damage.3.High quality material. 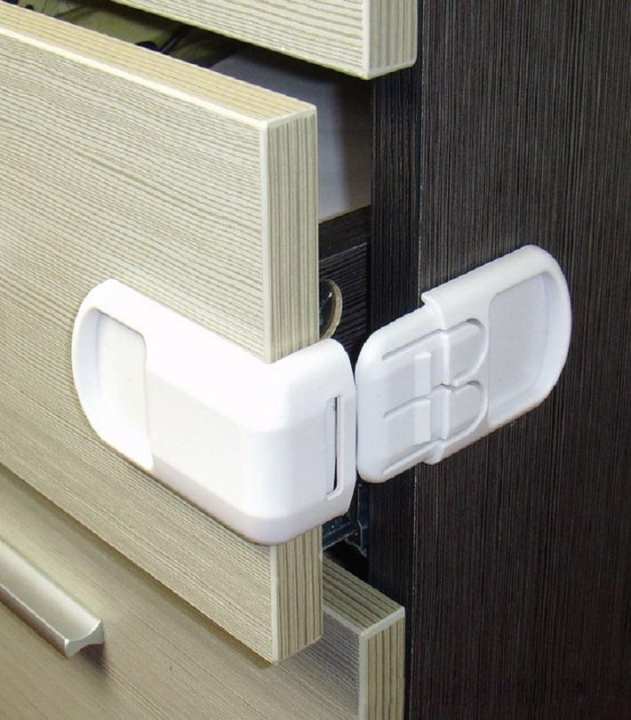 This lock is the most widely used of a baby safety locks. Care of the baby , to start from scratch . This stuff is very practical , applications are widely used. Can be used in drawers, doors, can also be used in the refrigerator to protect the child , but also protect the refrigerator does not waste electricity. Modern household furniture , doors and drawers are easy to open and close , children at play , careless easy grip handle , causing injury. After pasting the product , the adult can easily open , children are not easy to open , effectively prevent children from injury. 1, must be wiped off the dust pasting / oil / water and the like before use , in order to maintain a clean veneer . 2 , the release paper on the tape peeled off , with the beat pasting . The lock is really very impressive and quality is also fine. Where do you want to apply this on dispenser, if you want it for refrigerator door of water dispenser, then yes it can be used on doors, if you you to lock out water dispenser tap then i believe it will be of any help.